When you leave a comment on THIS post by 6 p.m. CT Sunday, November 4, 2012 you'll be entered in the DRAWING for a copy of Double Exposure by Susan Sleeman. She’s giving away three copies. If you mention in your comment that you’re a new or old follower (see in the left column “Join This Site” and “Follow by Email”), I’ll add your name a second time in the drawing. You can read details about my book giveaways here. Book 1 of the Justice Agency Series is Double Exposure. Writers often think in terms of one book, but for some reason I’ve never thought that way. I’ve always approached my plots based on an overarching theme that would contain a series of books featuring different protagonists. Why, you ask? Honestly, I’ll admit I started doing this after studying the suspense genre and discovering that many of the successful writers used the series concept to tie their books together. If so many of the successful writers were doing so, shouldn’t I also do so? Of course. So I did and have contracted three different series. What I’ve learned over time is why writing a series is a good thing. Readers like series books. Period. They love them. Whether it’s the same main character book after book, or different leading characters, readers love to see people grow and change. To see people come in and out of their lives. To watch the character fall in love. Have children. Maybe even grow old together. Publishers also like series books. In today’s ever-changing publishing environment, publishers want an author to commit to them just as they are committing to the author. Publishers invest time and money growing an author’s reader base and it’s a much better investment if they spread the cost between several books. Now that I have contracted three different series, I can tell you from a writer’s point of view that doing a series is a wonderful way to approach writing. Why you ask? Let me give you three reasons you might want to try this approach. 1. You get to know the characters so well and have a chance to reveal what makes them tick over the course of several books. Revealing bits and pieces book by book to pique the reader’s interest is such fun. Foreshadowing the main character for the next book not only reveals the character in an interesting way, but it also makes the secondary characters in your current book so much richer. 2. Once you research the main characters for the series, your work is done for several books. In the Justice Agency—my current five book romantic suspense series—that meant I had to dig into and discover the past of five leading characters in detail before I began the first book. A lot of work you say? Yes, at the beginning there was a lot of work, but when it comes time to write the books, each one gets easier and easier because you know the characters so well. The last book, practically writes itself. Okay, I’m exaggerating here to make a point, but the time spent up front is well worth it in the end. 3. Writing a series is like spending your days with old friends. From the moment you sit down at your computer to the time you turn it off for the day, you spent your time with people you know. People you care about. And what could be more fun as a writer than that? So I’ve shared my feelings about series, what do you think? As a reader do you like them? As a writer to do write them? 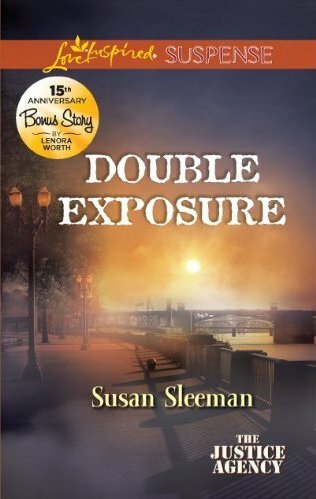 Remember: leave a comment on THIS post by 6 p.m. CT Sunday, November 4, 2012 and you'll be entered in the drawing for a copy of Double Exposure by Susan Sleeman. Susan is giving away three copies. You must be eighteen, have a U.S. mailing address, void where prohibited. Please, please remember to leave your email address so that should you be the winner I can get in touch with you for your mailing address. Thanks so much for hosting me today, Jo! I really appreciate it! Susan, you're welcome. Glad to have you here with us today. This looks very interesting. Thank you for the opportunity. I am a follower! Jo, you're welcome. Thanks for stopping by today and leaving a commenet. I appreciate you being a follower. I hope this is the right place to post a comment to win a copy of Susan Sleeman's book. I've read at least 3 on my kindle i.e. High Stakes Inheritance, The Christmas Witness, and Behind the Badge. Candle, being a fan of Susan's writing you'll probably like this one also. Thanks for reading my blog and leaving a comment. Maxie, see below where Susan gives you hints of Double Exposure. Thanks for being a follower and coming by to leave a comment. I love suspense, great for cold rainy night and big arm chairs! I think I now qualify as an old follower! Carol, you're probably a young old follower and I appreciate that. Thanks for coming by and leaving your comment. Thanks for reading my blog and leaving a comment. I appreciate your support. Thanks for stopping by, Nancy. Best wishes on winning Double Exposure! I do like book series though I don't like cliff hangers (because it's so hard to wait for the next book to find out what happens!). I like having the continuing characters to learn what happens in their lives over time. When a book is part of a series, I like the outside of the book to tell me that, so I don't pick up book 3 to read without reading the first two. It's pretty annoying to read a book and then find out there are others I should have read before that one so I'd understand the story better. Thanks for the chance to win a copy of Susan's book. I like to read mysteries and suspense. I'm an "old" follower of this blog. Pam, thanks for your thoughts on series. I, too, think the book should have indication of which book in a series it is. Sometimes you can read one of a series and it stands alone okay. But it's much more fun if you know you can follow these characters into other books. Thanks for following my blog and leaving a comment. I'm the same way, Pam! I don't like to be left hanging at the end of a book. I always resolve each book in a series so they can stand alone. Best wishes on winning Double Exposure! I am an old follower for sometime. Even wrote you some reviews. I follow this post or I wouldn't be here. I love your books so please enter me to win. Thanks for coming by and leaving a comment. You're entered. I am a new follower - have yet to read any of Susan's books. Would love to win one & sample her writing style. Bonnie, thanks for being a new follower and reading my blog. Glad you left a comment. So glad you stopped by, Bonnie! Best wishes on winning Double Exposure! I have this book on my wish list. I would love to win it! Melissa, thanks for stopping by and leaving a comment. I really enjoy reading a series of books, but more often than not, I collect the whole series of a familiar author, before I begin reading. If the author is new to me, I will only get the first book and see how I like it, before ordering more books in the series. 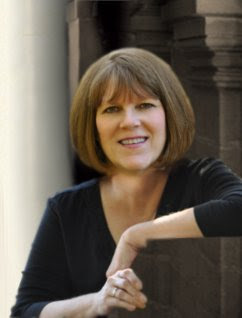 Thank you, Susan, for your insight on writing a series. Jo, I am a follower. KayM, thanks for your comments about reading series. I appreciate your input. Thanks for being a follower and leaving a comment. You have willpower, Kay. I can't wait for the entire series to come out before starting. Good luck in winning Double Exposure! I haven't read any of Susan's books but this one sounds intriguing. I love series books and want to read them in order. A long time ago, I found a book series and it went on to expand into 40 books. It was based on a family in England and the son comes to America on the Mayflower. Each book is about different descendents in different time periods. For a series that long, I have found it is best to break the reading up with other books. However, I do love to read series books. Many times stand alone books leave you wondering what ever happened to the characters because they do not offer a good ending. Jo, I am a follower and my email address is deamundy AT gmail DOT com. Deanna, thanks for your thoughts about reading series. 40 books does seem a mite too long. I appreciate your being a follower and leaving a comment. Wow, Deanna! 40 books in one series. I can't imagine writing that many in one series. Best wishes in winning Double Exposure! Hey eyeballlucy, thanks for coming by and leaving a comment. I appreciate you sharing about Susan's book on Facebook and Twitter. Glad you're a follower. I love to read books in a series, I grow to love the places and the connecting characters. Please add me for Susan's books, I enjoy her suspense adventures. Merry, you're added. I'm glad you came by and left a comment. 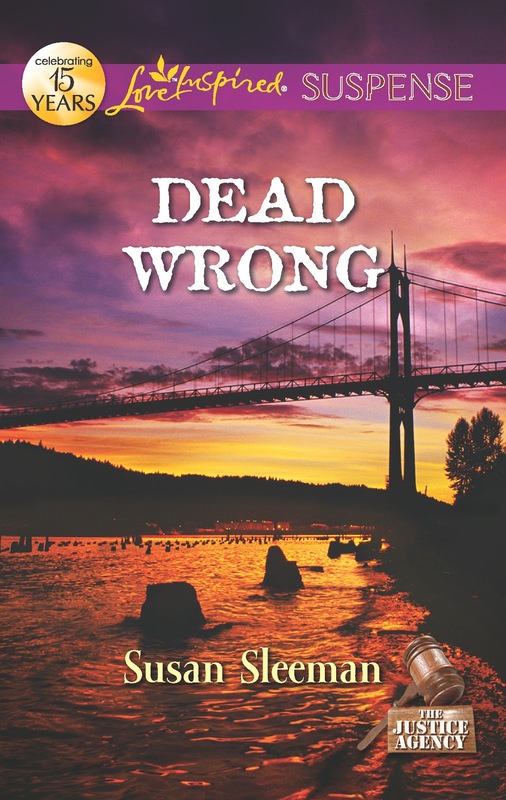 Having read Susan's books before you'll be sure to enjoy this one. Thanks for being a follower. I'd love to win this book! Romantic suspense especially Love Inspired is my favorite genre. Thanks for the chance to win. Susieq, you're welcome. Thanks for coming by and leaving a comment. I am an old follower. Just found this is in time to enter! Looks very good. I love suspense. You're entered! Thanks for stopping by and leaving a comment. Yes, I like reading series books. I do prefer when the books that make up a series can be considered as "stand-alone" novels; so that the reader is not left hanging at the end of a book, but it is fun to follow the characters over several books learning more about what makes them tick as Susan put it! Jes, thanks for your thoughts about reading series. I appreciate your following my blog and leaving comments.